Retirement saving is easier when you're one of these CEOs--though some of their companies have cut retirement benefits for new employees. (Bloomberg) — The retirement savings accumulated by just 100 chief executives are equal to the entire retirement accounts of 41 percent of U.S. families–or more than 116 million people, a new study finds. In a report scheduled for release today, the Center for Effective Government and Institute for Policy Studies found that the 100 largest chief executive retirement funds are worth an average of about $49.3 million per executive, or a combined $4.9 billion. David C. Novak, the recently departed chief executive officer of Yum! Brands Inc., is at the top of the list, with total retirement savings of $234.2 million. In recent years, pay and income inequality across different income groups have received increasing attention in the U.S. Significantly less attention has been focused on the growing gulf in retirement savings, a lack of focus that the study’s authors say they are attempting to address. Leucadia National Corp., the holding company that owns investment banking firm Jefferies Group Inc., last year cut by half its matching 401(k) contributions for employees hired after January 2014. Those hired prior to that date receive a match of as much as 3 percent of employees’ income; new employees get a match of up to 1.5 percent. Leucadia CEO Richard B. Handler ranked second on the list of biggest retirement assets among executives, with $201.3 million. Except for a $219,739 pension benefit, all of the assets are deferred compensation. “Mr. Handler does not have a retirement package, golden parachute, or even an employment contract,” said Richard Khaleel, a Leucadia spokesman. 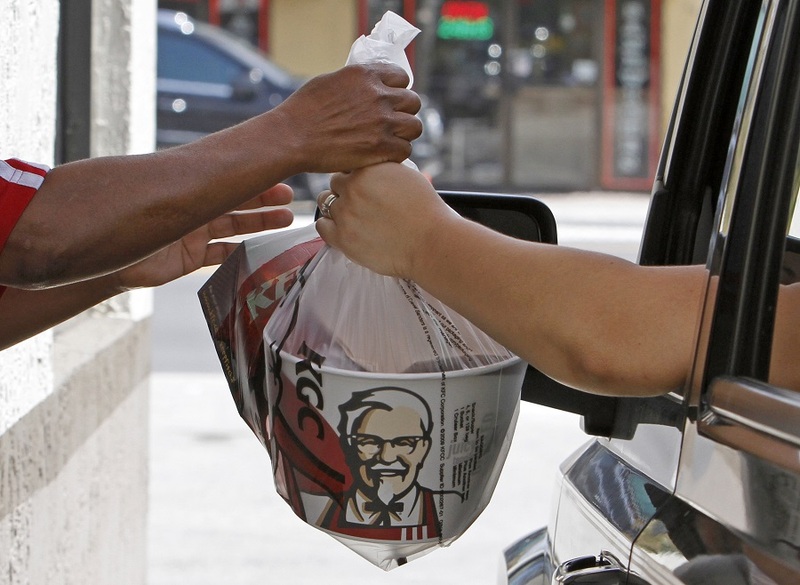 Yum Brands, which owns KFC, Taco Bell, and Pizza Hut, used to offer pensions to most workers but eliminated that option for employees who joined after 2002, replacing it with 401(k) plans. Novak’s deferred compensation “was directly linked to the performance of the company and primarily consists of bonuses he earned and deferred into YUM stock, which appreciated 900 percent during his leadership,” said Jonathan Blum, the company’s chief public affairs officer. The company is rated”above average” in its matching contribution but “poor” in its employee participation rate by BrightScope, a San Diego firm that evaluates 401(k)s.
The study contrasted the difference between the retirement savings of executives and the workers at various companies. At Yum, for example, employees with a 401(k) have an average balance of $70,167. Novak’s retirement savings is about 3,300 times higher than that average. John Hammergren, the CEO of McKesson Corp., the medical products company, ranked fifth on the list, with total retirement savings of $145.5 million, according to the study. Following complaints from activist investors last year, he agreed to reduce his pension and cap its value. The company froze its pension for current employees at the end of 1996 and closed it to new employees hired in 1997. Kristin Hunter, a spokeswoman for McKesson, declined to comment on the fairness of the company’s retirement savings plans. For many chief executives, the bulk of their pay often used for retirement comes from deferred compensation plans that permit executives to set aside salaries and bonuses on a pretax basis, with no limits. Lower-paid employees with 401(k) accounts can only set aside $18,000 a year and an additional $5,000 if they’re 50 or older. Many companies offer different investment options to executives for their deferred compensation plans than those offered to 401(k) participants. In addition to deferred compensation plans, about 30 percent of Fortune 1000 companies in 2013 offered supplemental executive retirement plans, usually calculated by multiplying years of service and the average pay earned during executives’ final years of service. “These benefits weren’t originally intended to be huge wealth generators but they’ve become that as CEO compensation has grown to 200 to 300 times what average workers make,” said Gary Hewitt, director of governance research at Sustainalytics in Amsterdam, which provides research to investors. The report’s authors called for a number of policy changes, including applying to executive compensation plans the same annual contribution limits that cover 401(k) plans and preventing companies from deducting from their taxes contributions to executive pension plans if the employee pensions have been frozen.